Open letter to the Scottish `Parliament. This is an article I have written about the childrens hearings and why they need to be reviewed. It will be of interest to any parent who has had to attend a hearing. Sentence first, trial later for many parents and children who are separated by decisions of the hearings, and dont get to have the case heard until the child has been hurt and the family broken. We need to talk about the children’s hearings. We are used to holding up hearings as proof of Scotland’s enlightened approach to children’s needs and welfare. Decisions about children are made by a lay panel of volunteers. The hearings are rarely politically challenged. But increasingly the system is providing significant cause for concern among many of us who have dealings with it on a regular basis. Our concerns are about family rights, about the system’s lack of an evidence base for its decisions, and about the poor experience of families and children of the system. In the early years of the Scottish parliament, there was a threat of abolition of the hearings system, at least in relation to youth offending. At that time, the Labour-led Scottish government was following Westminster policy. It was suggested that hearings could be replaced by juvenile courts and that Scotland should follow Westminster in sending children as young as 12 to prison. But that threat has ended, at least for now, and the number of children and young people in secure units and in Polmont [young offenders institution] has been significantly reduced. A similar process has gone on in England too. This reduction was not achieved by increased use of hearings, but the opposite. One thing that we have discovered, thanks mainly to the University of Edinburgh’s youth crime and transitions study, led by Professors Lesley McAra and Susan McVie, is that for most children being taken to a hearing for offending does more harm than good. They discovered that children in the same life circumstances who have committed the same offences, but escape being taken to a hearing, mostly move on and grow out of offending. No hearing, no social workers, no care homes, no record, and no harm done, usually. The results of taking a child to a hearing are usually worse than doing nothing at all. Hearings are a route into and not out of offending. In taking one child to a hearing and not another for exactly the same offence, on the grounds that one had welfare needs, we punish and amplify rather than mitigate disadvantage and adversity. The fact that children as young as 12 can get a life-long criminal record as a result of being ‘helped’ by a hearing is also a major point of criticism. However, care and welfare cases are now the largest part of the system’s work. Of over 15,000 children referred to the hearings in 2015 and 2016, 13,688 were on care and protection grounds and only 2,761 on offence grounds. This is a complete reversal of the proportions that existed not so many years ago. Many of these children are infants. They can’t be heard from in any meaningful way, and are not usually present at hearings which are discussing their future. Why is this a problem? Because the very same problems pertain for care and welfare cases as for offending. There is a downside to being a ‘welfare’ rather a ‘rights’ system. The criminal and civil courts provide a level of security against over-zealous interference with family lives and rights. However, too often the Scottish courts don’t seem to provide enough protection. Three recent supreme court rulings indicate that perhaps the ‘welfare’ rather than ‘rights’ culture has infected our courts and damaged their ability to hold the system to account. These are the named person breach of human rights in July 2016, and the cases of Re E and Re W in March 2017, on the Scottish courts’ failure to properly apply the threshold test for removing parental rights and responsibilities. The shocking fact is that our hearings system allows children to be removed from home and can reduce or even end contact with their families without any necessary scrutiny by the court, and often without a parent or child receiving legal advice or representation. By the time cases get properly tested in court, children may have been separated from their families for months. Some children will have been removed at birth. Yes, a sheriff will have had to agree a protection order in those cases, but this will have been on the basis of a prima facie case made out to them, not on any testing of the evidence. Usually a parent won’t know that an order is being sought, and will be presented with it when the social workers and uniformed police arrive unannounced at the door. For many families it is ‘sentence first, trial afterwards’. If anyone is thinking that this traumatic way of separating children from their parents is reserved for only the most serious cases of child abuse or risk, and the most dangerous of parents, then they would be wrong. Often it is single mothers and their very young children who experience this kind of removal. When a case comes to a hearing three working days after an emergency removal the die is cast. Hearings will not run the risk of returning children against the recommendation of a social worker. Social workers will not admit that they over-reacted and that the children have spent three days crying for their mothers. There are certainly cases where children should be removed, but children are often more harmed by separation than by anything they were suffering at home. I know of cases where children have been hospitalised after removal, having been run over in the street or suffering from dehydration. Lay panels at children’s hearings are making life-changing decisions about children without even basic knowledge about child development and, just as seriously, without an evidence base about the outcomes of their decisions. At a recent introductory day for prospective panel members, I asked how they found out about the consequences of their decisions on children, and was told that this was ‘impossible’, and they were just making decisions on the basis of ‘a snapshot in time’. Nowadays it is the norm for completely different panel members to be convened to hear a case every time a child and family come before a hearing. There is little continuity, information that is asked for by one panel will be disregarded by another, forgotten by a third, and then asked for again at a fourth. Parents are often regarded as guilty by default until proven innocent. The panels seem to believe that children are safe in care, and don’t understand that an unnecessary day, week or, more commonly, a month or more in care is in itself a terrible harm to a child. There is no ‘threshold’ test for entry to the hearings system. The grounds of referral are not a threshold test for harm, yet one ground is all that needs to be ‘proved’ or just accepted by the parents and child to open the door to seriously life-changing decisions. Many parents, some of them teenagers themselves who have been in care, accept the grounds put to them in the hope, or with the promise, that this will open a door marked ‘Help’. In court, at a ‘proof’ hearing, the sheriff is only asked to rule on whether the grounds have been established as a matter of fact, and is not required to make any judgement about the seriousness of any harm that may have been caused. No evidence of actual harm needs to be led at all. This lack of threshold for intervention and other weaknesses makes the hearings system unsafe, leaving families open to over-zealous and uninformed intrusion into private and family life. We know that it is overwhelmingly poor parents and children who are brought before hearings. This tells us a lot about whose private and family life is respected and whose is open to interference. Once the grounds have been either accepted or proved, a hearing only has to have regard for the ‘no order’ and ‘best interests’ principles in reaching a decision about whether and what compulsory measures are needed. These two are both very slippery principles. One is that decisions must be in the child’s best interests, and the other is that an order should only be made if it is better than making no order at all. It may be argued that a child be removed from home not because he or she has suffered or will suffer any significant harm, but because it is in their ‘best interest’. ‘Significant harm’ does not need to be proved yet a child can be permanently separated from their family. A further weakness for a system that claims to be welfare-based is that the only resource a hearing can compel the authorities to provide is a place ‘in care’. Not food, not housing, not a school, therapeutic help, a washing machine, reinstatement of benefits, or drug and alcohol treatment. No wonder, then, that the rate of children being taken into care is high and rising, as poverty and associated problems soar, and hearings are faced with the fall-out from this. I have recently been asked for advice by parents who have had their children removed from their care without any evidence of significant harm, and who had been offered no help in tackling the problems they face at home. These problems can include poverty, debt, reationship issues, and the challenge of caring for children in temporary housing. Parents who have been denied the help that a few thousands pounds could bring then have to watch in distress as their children are moved at great expense from one emergency placement to another. They can also be moved from a regular carer to a ‘respite carer’, to allow their foster carers – who are often paid more for the care of just one child than the total income of the child’s parents – to have a break that was denied to the parents. Parents watch as their children become more and more distressed, and this distress is then used to cut contact with them. The parents are told that they should not tell the child – even adolescents – anything about the case. They are told not to tell the children that they love them and are working to have them returned. They must, on pain of having contact reduced or terminated, tell the children that they want them to be in care, that it is for the best, and that they are fine. They must not cry or hug the children too tightly. If the children complain about conditions in care, foster parents or care staff, the parent must reassure them that all is well. The children are confused and distressed to have their parents trying to cheerfully assure them that all is well, that they are ‘fine’, that the carers are ‘great’, and the social workers are ‘just doing what needs to be done’. I was told by one parent that her seven-year-old child who was clinging to her and crying that she wanted to come home, was told in an authoritarian tone to ‘Stand away from your mother!’ (a line taken from TV crime programmes and not from any child care manual). That contact was then described as ‘poor’ and ‘not in the child’s best interest’, and the mother was blamed for ‘upsetting her child’ and ‘destabilising the placement’. As a result, her contact was policed and reduced even further. A father who was heard to promise his child that they would once again be able to play games together when the child came home was castigated and told he had broken an unwritten rule. It is acceptable for social workers and foster parents to promise holidays, cinema visits and new clothes, but not for parents to promise their children any such thing. Many children in care suffer a scandal of neglect and emotional abuse equal to any of which parents may have been accused. But they are being cared for by ‘services’ so the complaints and concerns of parents are usually not even heard, let alone investigated. I supported a parent who, at a recent review for her child, was told by the chair that it was ‘inappropriate’ to raise the issue of meaningful contact between the mother and her teenage son. Another parent I am in touch with was told at a review that none of her concerns about her children in care could be addressed because the letter she had sent outlining these concerns was being treated as a complaint and thus unable to be discussed. This decision was made by the ‘independent’ chair, an employee of the same authority. One of the main purposes of such statutory reviews is accountability to the parents for arrangements for the children’s care and welfare. Only parents can be held to account, it seems, not services. But it is the state which makes a lousy parent, as current and previous public inquiries into institutional abuse in every UK jurisdiction demonstrate. Yes, children are sometimes harmed and even killed by their parents or guardians, but these are the troubling exceptions to the rule that families are by far the best and safest place for children to grow up. The difficulties in which these inquiries are mired only underlines the difficulty that the state has in holding itself to account for its lousy parenting. There is currently a review of our care system, initiated by the first minister. Dear parliament, it is important that this review encompasses the routes into care, travelled by an increasing number of children. The place of the children’s hearing system and its fitness for purpose as a route into care has to be a core part of that review. 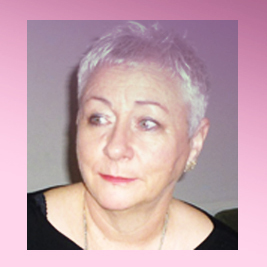 Maggie Mellon is an independent social worker, former chair of the Scottish Child Law Centre, and writes and speaks on current issues in social work and social justice.